Point Taken: Think of your client experience and the long-term image your marketing investments will have. The quality of the user experience is key to successful marketing, and if you’re not careful, it’s easy to be a laughing stock. While FindLaw may not have seen their embarrassment coming, there is one firm to learn from with marketing so offensive they should have probably arrested themselves for it. Alabama country law firm McCutcheon & Hamner had a generally normal online and social marketing presence, until one day they decided to do the inexcusable. They released a racist promotional video targeted toward Asian Americans, attempting to capitalize on unfounded stereotypes. Although the firm tried to backtrack and claim they were hacked, the video was clearly made by an over-the-top production company that would have been hired for the job. Point Taken: There really is no excuse for targeting any group with negative stereotypes– and a law firm can be edgy without being offensive. Simply finding a way to showcase and target your specialties is the best way to establish your firm as trustworthy and competent. Also, if you make a misstep, don’t blame it on someone else, admitting fault is a bad idea in the courtroom but it’s ok in the marketing world. Attorney Jamie Casino earned a lot of notoriety with his Super Bowl Ad (click to watch, and laugh). He spent a reported 16 million dollars to showcase his vanity project locally during half time. The ad is nothing short of a man showing the world how awesome he thinks he is. From quoting the bible to avenging his dead brother by taking personal injury cases– this man wants you to know he can do it all. Plus, he does it with pyrotechnics and rudimentary CGI. Even though the ad is cheesy and ridiculous, the national press picked it up. Jamie Casino thought he might have earned the fame he deserved. However, ROI and clients didn’t factor much into his results. National attention can be great, but Jamie’s practice is limited to Georgia, and he made himself look crazy. Point Taken: Your clients don’t want to hear your life story in your ad, nor do they want to see how cool YOU think you are, and law firms don’t need to spend anywhere near 16 million dollars to get the local traction they need. 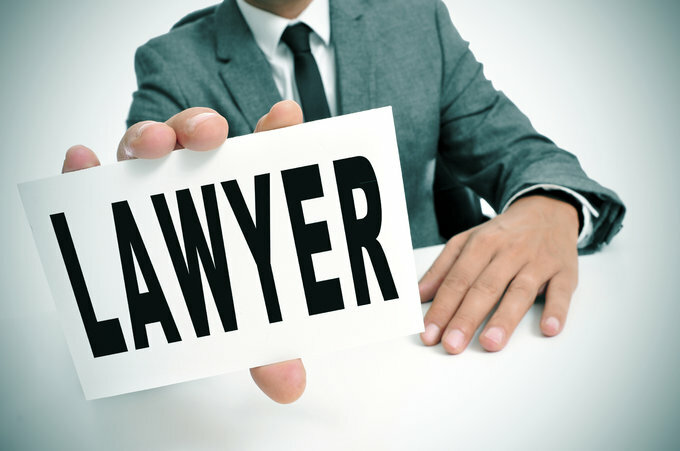 To target clients, it’s best to target the ones that are actually looking for a lawyer to begin with. One Touch Is All it Takes: Mobile applications like One Touch Law allow lawyers to showcase their specialties, locally and without cheap gimmicks or huge expenditures. Lawyers create a profile that allows client to search by specialty and read a succinct professional bio, then set up a consultation on the phone or via video chat. Although we’re sure there won’t be a shortage of law firms producing any epic marketing fails . . . One Touch can help your firm stay one step ahead in the mobile marketing space; while getting new clients for a tenth of the cost of large traditional advertising mistakes.